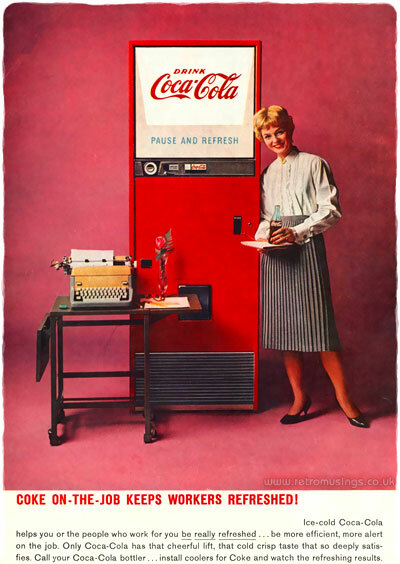 Including tea, coffee and hot chocolate, cordials and fruit juices, and all kinds of fizzy drinks. 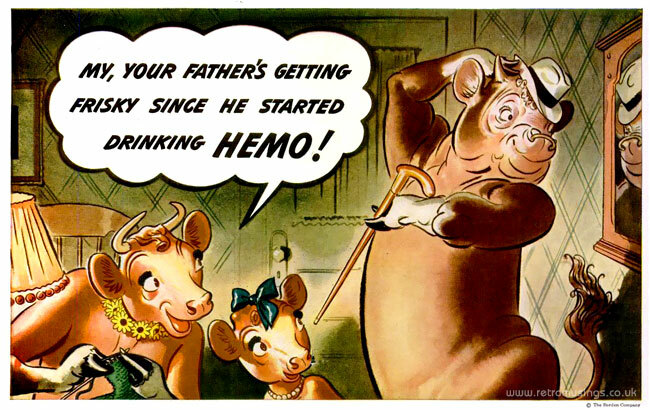 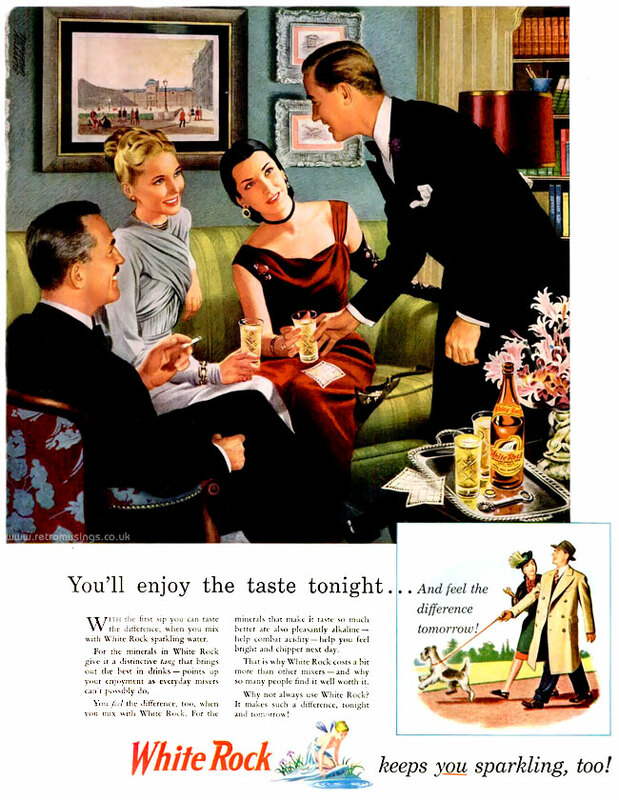 These illustrated ads by Walter Early for Borden’s Hemo, a fortified chocolate malt drink, date from 1942-46. 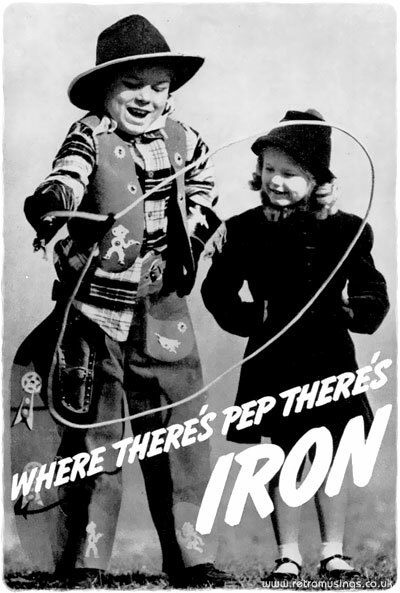 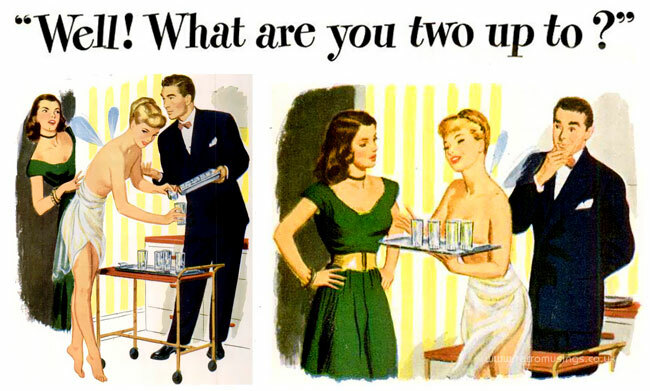 These fun ads for Bosco, a chocolate malt syrup which was added to milk, are all from 1940. 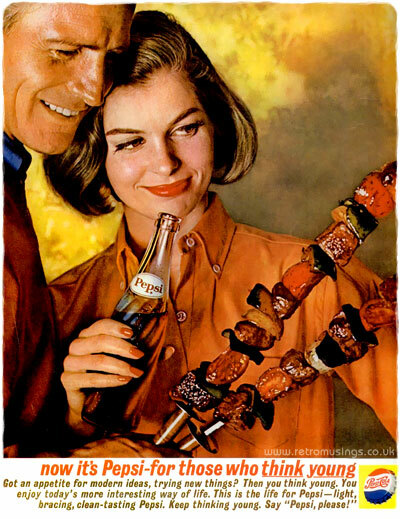 These Coca Cola ads date from 1961-62, and try to temp people into having coke with their dinner rather than just with snacks or sandwiches. 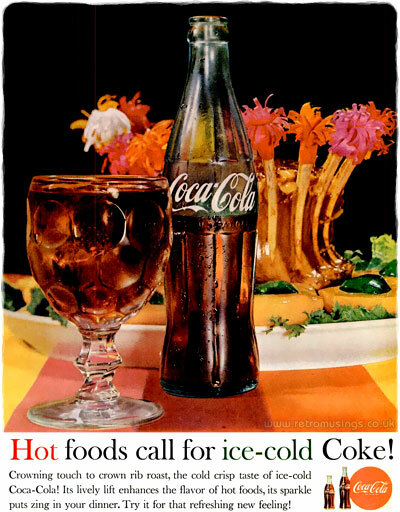 These Coca Cola ads date from 1961-62. 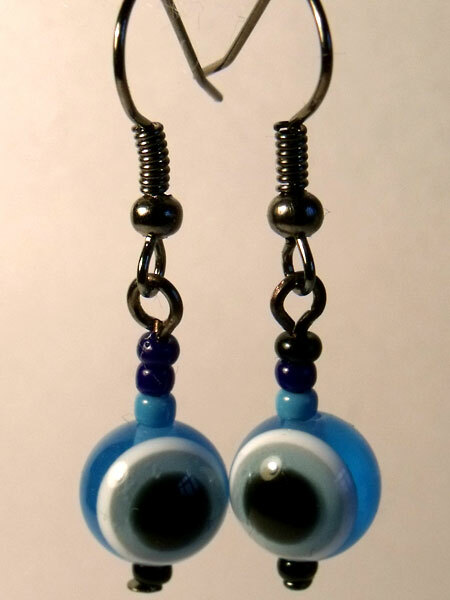 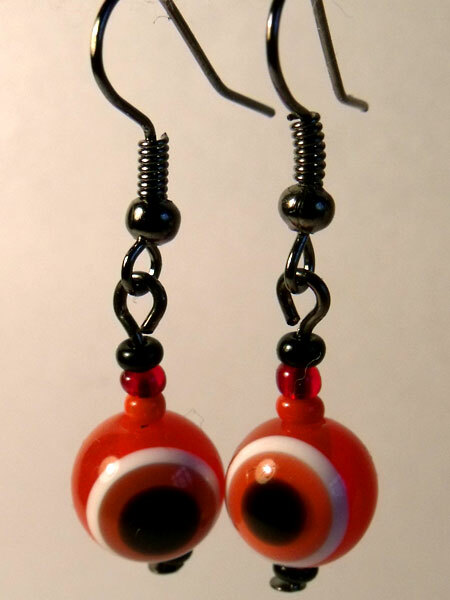 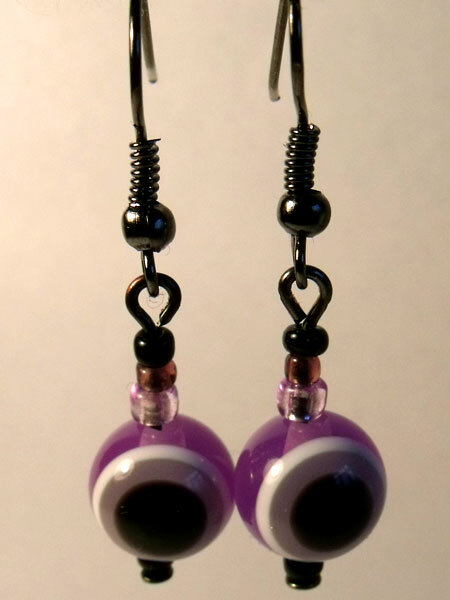 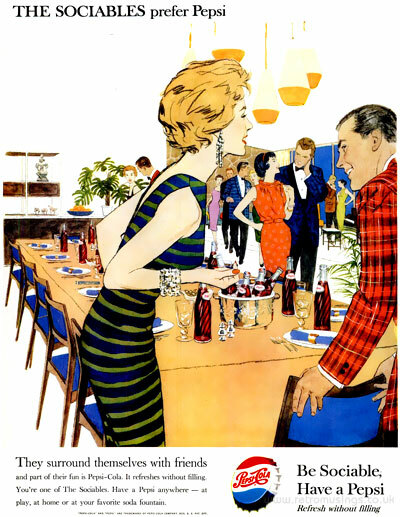 Zing! 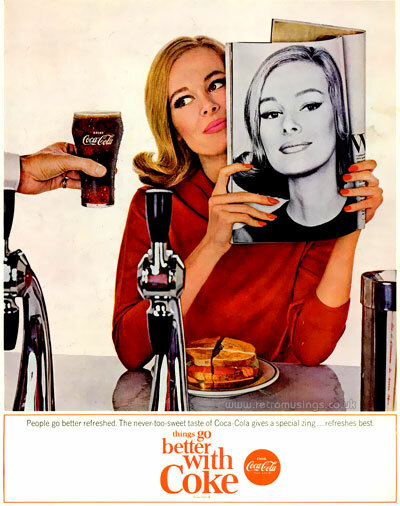 These Coca Cola ads date from 1962-63. 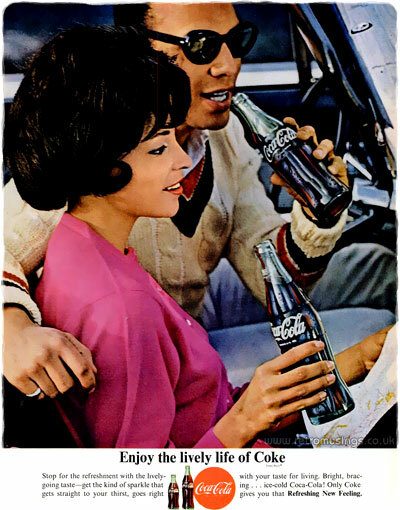 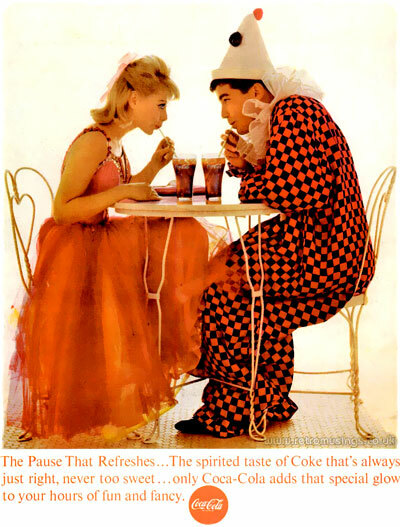 This Coca Cola ad campaign ran for two years from Dec 1963 to Dec 1965 (as best I can tell). 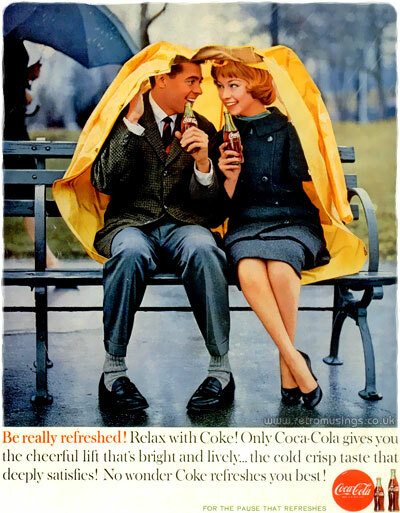 These Coca Cola ads date from 1963. 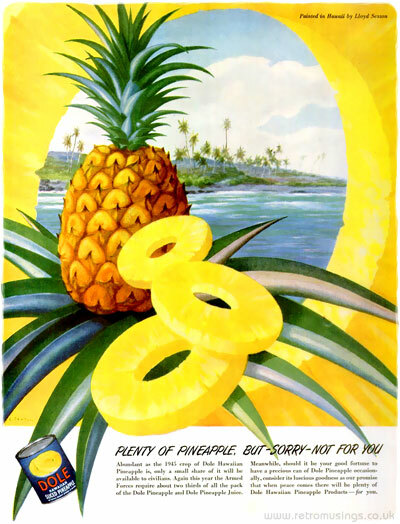 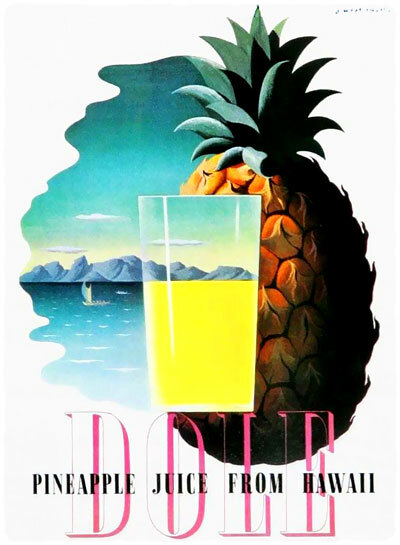 These two illustrated ads for Dole “Pineapple Juice” and “Pineapple Slices” were painted by Lloyd Sexton in 1945-46. 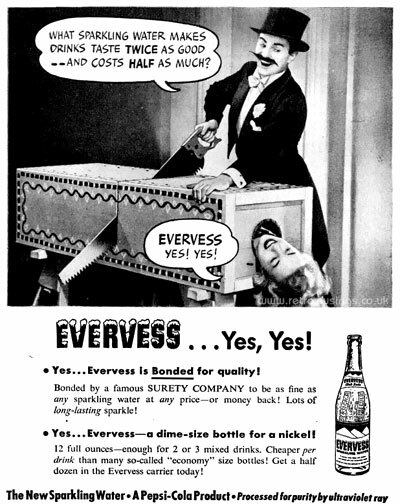 These ads for Evervess sparkling water date from 1946-47. 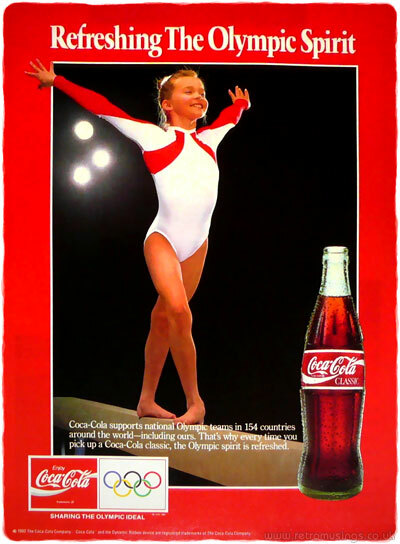 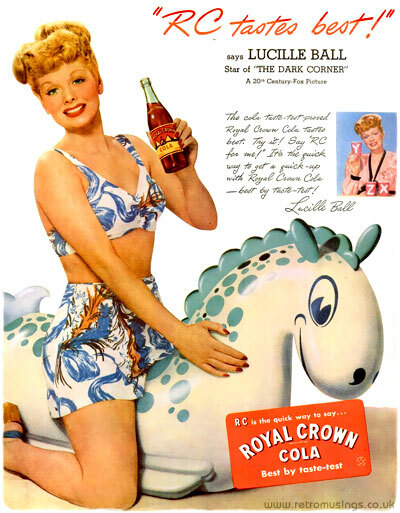 It was produced by Pepsi-Cola. 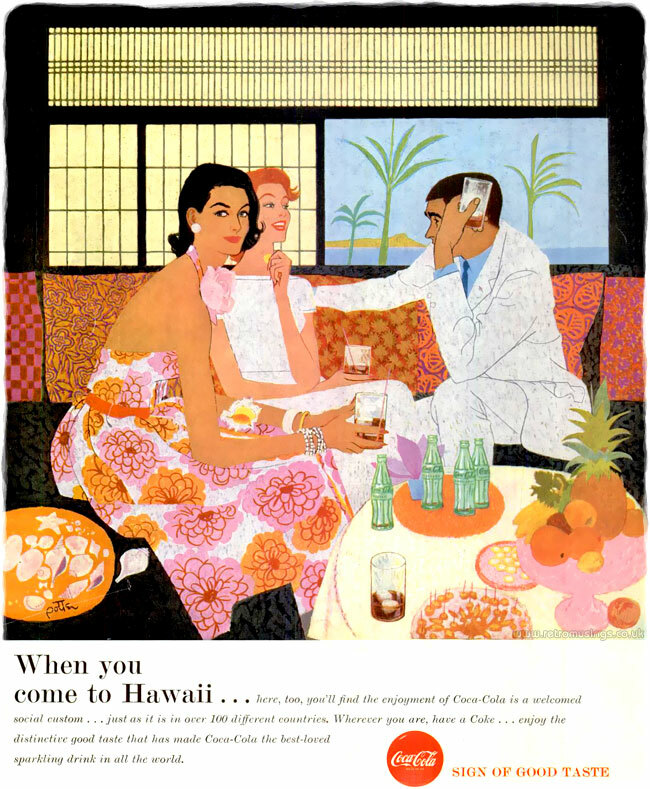 These lovely illustrated ads for Pepsi-Cola date from the end of 1959 though 1960. 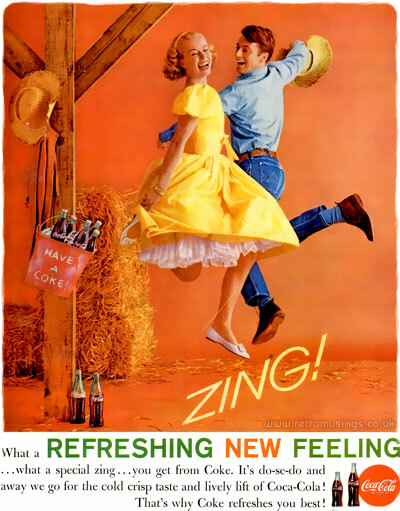 These ads for Pepsi-Cola date from 1961 to mid 1964. 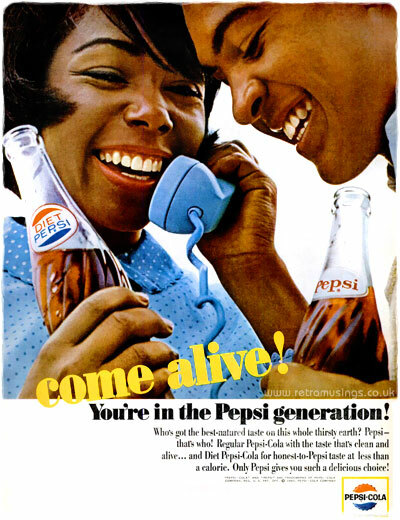 These ads for Pepsi-Cola date from mid 1964 to 1966. 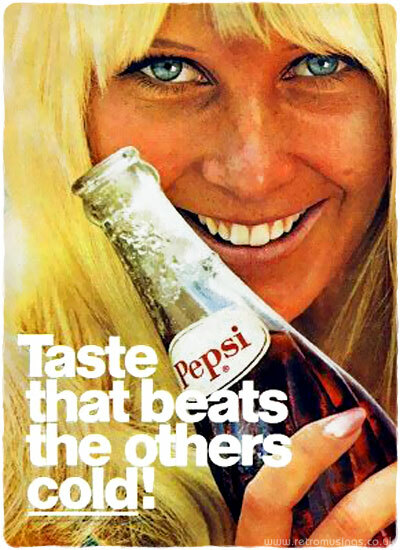 This ad campaign from Pepsi-Cola date from late 1966 to mid 1969. 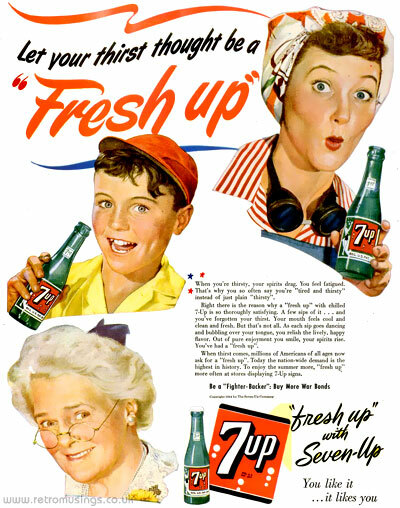 These Seven Up ads date from 1943-45 and feature photos of grinning floating heads. 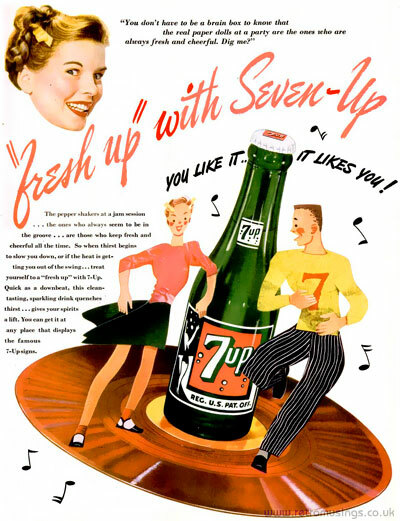 These Seven Up ads date from 1946. 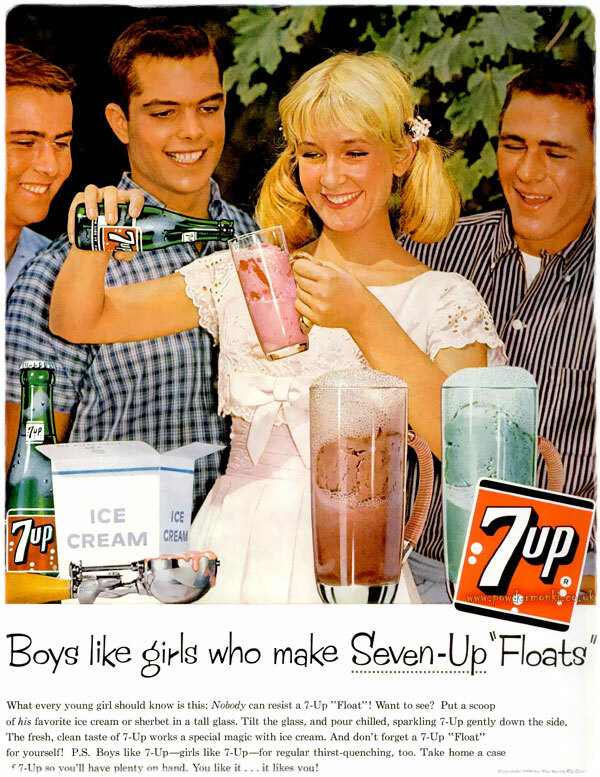 They continued in style from the previous year with the floating grinning heads, but also included cut-out illustrations posed with real bottles of soda. 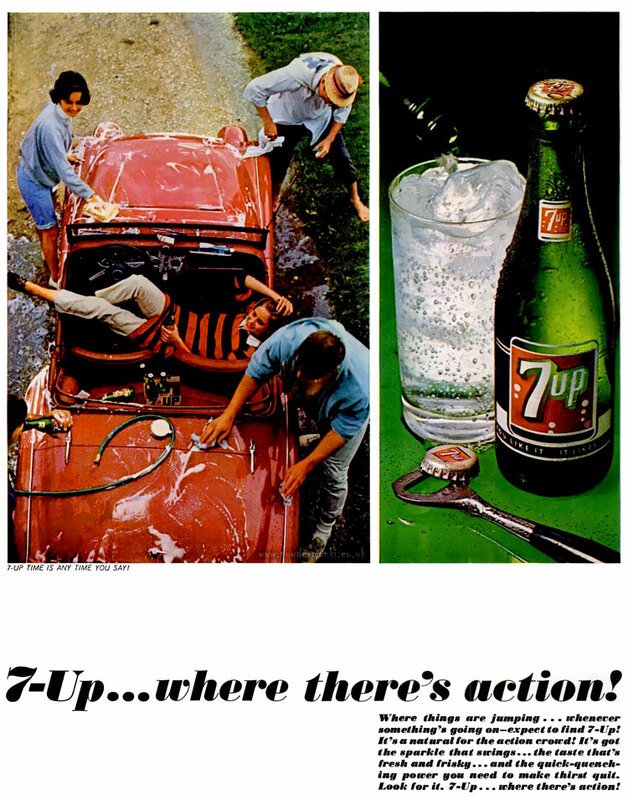 Here are some Seven-Up ads from 1965 featuring young, swinging people doing various kinds of social or sporting activities. 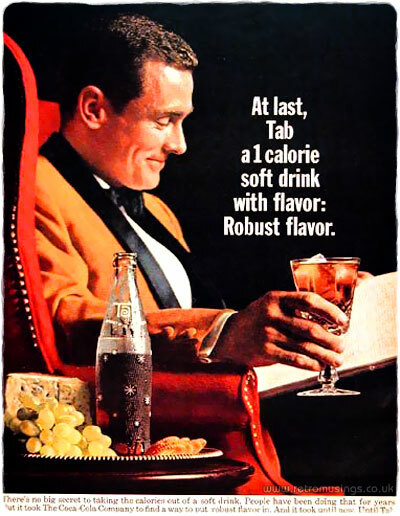 These ad’s for Tab, a low calorie soft drink made by Coca Cola, are from 1964-68.